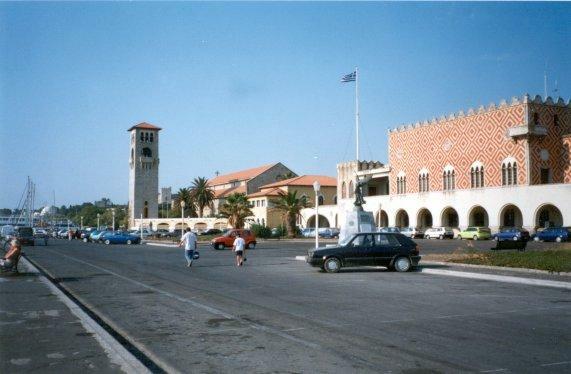 It was in Rhodos town that I got my very first experience of Greece. This was in 1987 and I was a teenager, just barely 15 years old. I was travelling with my family: my parents and my little brother. It was my first trip abroad. Rhodos was one of the few resorts popular with Finnish holidaymakers back then. During this trip I got this fever, this passion for Greece and still I am not cured. 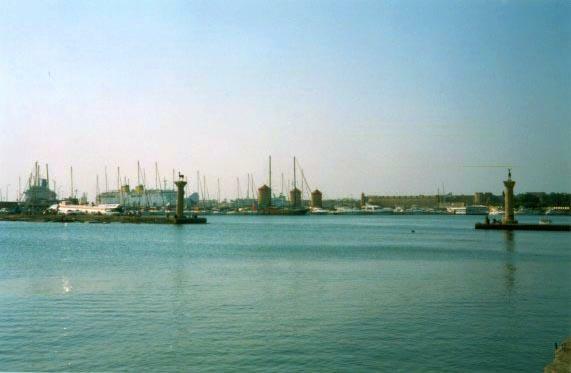 I returned to Rhodos the following year and the year after that. On three years in the row. how very adventurous! During that time I had a chance to see this favourite resort grow even bigger and more popular. Then I returned in 1999 and I was amazed to see how gigantic this resort had grown. But now back to the late '80s. I didn't know much about the country but it was a place that I liked to return. 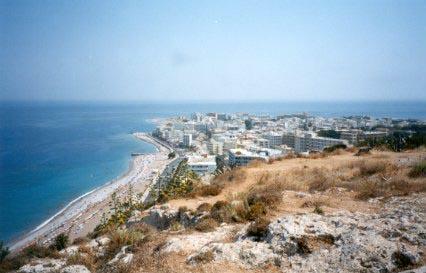 I don't know exactly when my appetite started to grow but after my three visits to Rhodos came Kos. Then Crete, Platanias, Chania and Paleohora. 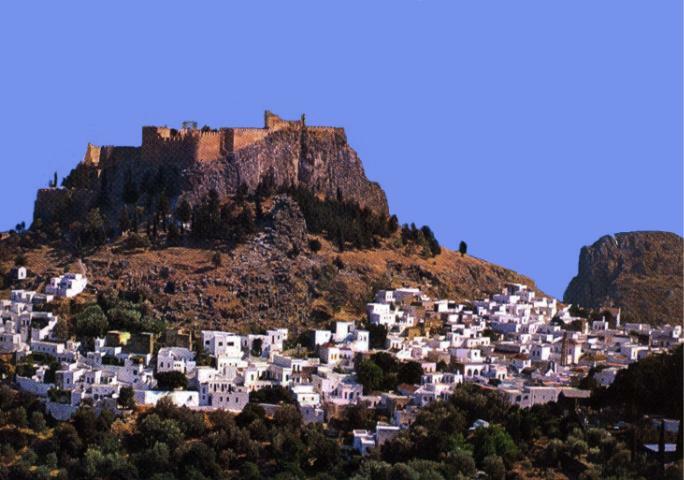 Rhodos however will play a big role in my Greek memories. 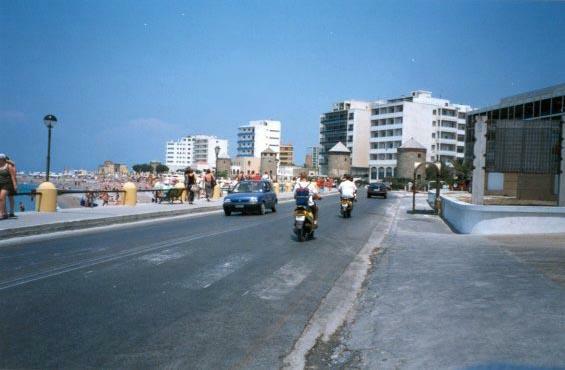 I don't know what attracted me in Rhodos but for me in my teenage years it must have been the sun and the beach and of course those gorgeous Greek boys, discos and partying. 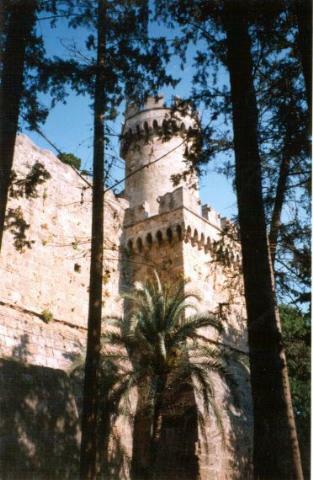 Plus many of my classmates or friends from school also visited Rhodos during those summers. It seemed that it was as familiar a place as my own hometown with so many familiar faces. I remember one summer when half of my volleyball team (5 girls) where staying there, each without knowing that we would all be there at the same time. I didn't mind that back then. It felt safe and fun, because we were in a totally different environment. Nowadays I seek for the total opposite of Rhodos. I look now for the authentic experience of Greece, meeting with the locals rather than the tourists. 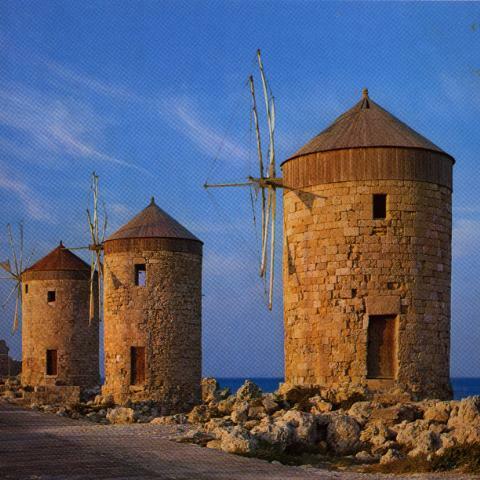 In 1999 I visited Rhodos once again. My friend, a Finnish guide was working there at the time and I was so looking forward to seeing Rhodos after so many years and of course to seeing my friend who only returned to Finland for short periods. It was relatively easy to go back there, but how much it had changed!!! It was entirely different place than I had known in 1989. All of it, changed. It wasn't anymore the Rhodos that I had known and had expected to find. It had changed into something I didn't like too much. The development that started in the 80s had become this. It was nice though to revisit the familiar sites in Rhodos town: the Elli beach, the Aquarium, Palm Square, Mandraki harbour, old town, etc. We also visited one of the latest new resorts at Ixia. All together Rhodos as it is today is way too busy, loud and touristy for me. The Minarets and domes remain as a reminder of the islands Turkisk past. 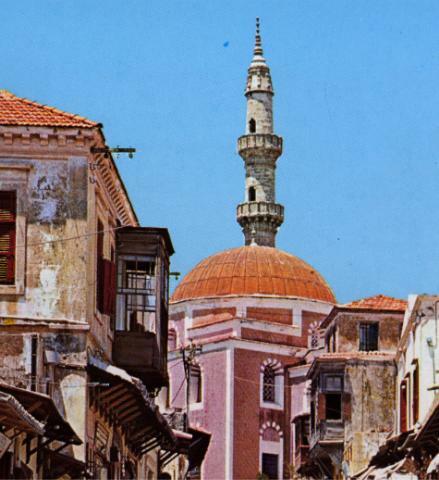 The colourful Tzami Souleiman (Mosque of Suleiman) is a major landmark in the old town. It was built to mark the Turkish conquest in 1522 by Suleiman the Magnificent.